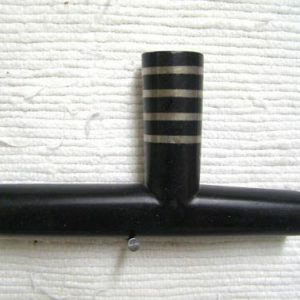 This is a fully functional peronal pipe with black pipestone four winds bowl & wooden stem. 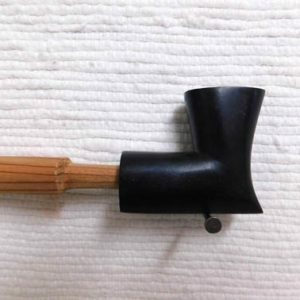 This pipe was handcrafted by Santee Sioux Indian Chris Wallenberg (Hapan). 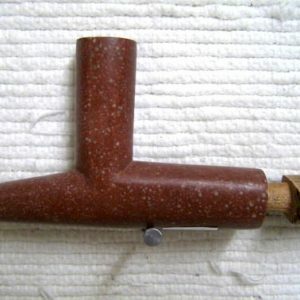 The black pipestone comes from Pipestone, Minnesota. 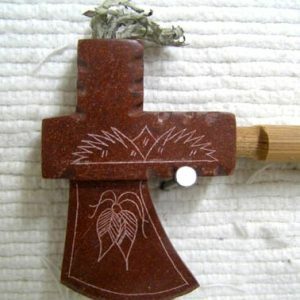 The bowl measures 2.25 inches long & 1.75 inches tall. 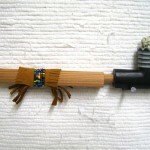 Total length with stem is 7.5 inches & features a bit of leather & seed beads for decoration. 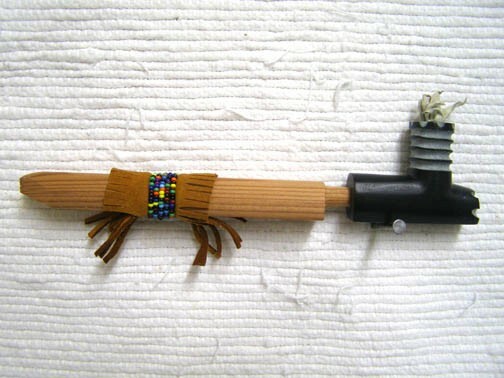 Leather & seed bead colors will vary. A certificate of authenticity is included. 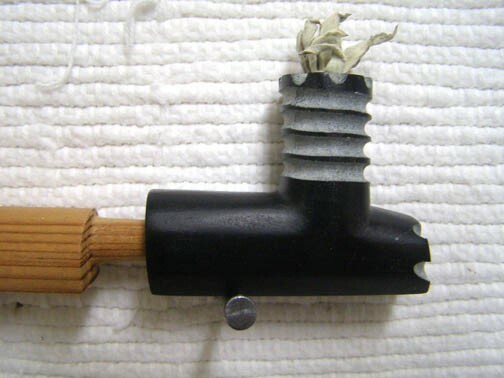 These pipes have not been blessed.